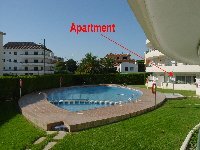 VILLAS AND APARTMENTS TO RENT IN ESTARTIT, SPAIN. 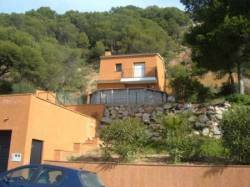 Welcome to our selection of holiday homes to rent in Estartit, Spain. The Catalan resort of L'Estartit is located on the Mediterranean coast of northern Spain, just south of the French border. About an hour away from the international airport and historic city of Girona, day trips to the spectacular scenery of the Pyrenees are also popular, if you have decided to hire your own car. The resort itself is situated in a large bay with views out to the Medes Islands and is home to several pleasant beaches, plenty of bars and restaurants as well as a picturesque old town. In fact, there are two picturesque old towns near the modern resort of L'Estartit; the coastal area with its turn-of the-century holiday villas and the older Toroella de Montgri a few kilometres inland. There are several beaches along this stretch of coastline, the main beach or Platja Gran itself is situated in the centre of L'Estartit and is split into three sections. The Platja de L'Estartit is the most popular with tourists and has a variety of water sports of offer as well as a promenade with plenty of beach bars and restaurants while the Els Griells beach is quieter and is backed by a nature reserve that is an ideal destination for those who enjoy walking or cycling � and is the perfect place to get some shade from the midday sun. Finally, the La Pletera beach is the most unspoilt stretch of the Platja Gran and is also the quietest. Made up mainly of sand dunes, you can be assured of some peace and quiet in this stretch of sand even in the height of summer. Boat trips around the Medes Islands are a popular day trip, and the area is always busy with scuba divers exploring the caves around the island's shores, including the huge Dolphin Cave. The picturesque village of Toroella de Montgri is a few kilometres inland from L'Estartit, an easy cycle though probably a little too far for a gentle stroll. As well as providing a pleasant distraction from the sun, sea and sand, the village also holds an excellent market every week; the perfect place to stock up on supplies if you are self catering. As well as the stunning natural scenery of the Pyrenees Mountains to the north, the equally stunning city of Girona is also within driving distance to the south. Public transport between L'Estartit and Girona is regular and reliable in the summer months, if you have not hired your own car. Looking for self catering holiday accommodation in Estartit? Then below is a selection of holiday apartments in Estartit and holiday villas in Estartit that can be rented direct from their owners. You can either click on each listing for further details or you can use our search engine on the left if you are looking for something in particular.